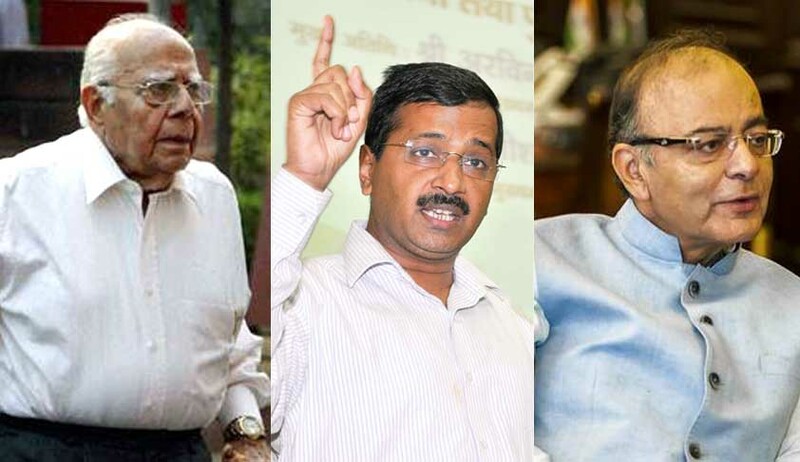 Noted criminal lawyer Ram Jethmalani who is defending Delhi Chief Minister Arvind Kejriwal in the defamation case filed by Finance Minister and BJP leader Arun Jaitley has reportedly said that if Kejriwal cannot afford to pay his fee, he will not charge the politician to defend him in court, NDTV reports. His comments come after a controversy over a bill for over 3 crores for the Chief Minister sent by Jethmalani, the TV channel said. According to documents accessed by several media houses, Kejriwal wants the taxpayer to foot his legal bills of Rs. 3.8 crore for defamation cases filed against him by Finance Minister Arun Jaitley. Mr Kejriwal engaged a battery of lawyers to represent him, including Ram Jethmalani, one of the most expensive lawyers in the country. Kejriwal's deputy, Manish Sisodia, has signed off on the bills and sent them for clearance to Delhi's Lieutenant Governor Anil Baijal, who has sought the opinion of experts on how to proceed. Jethmalani, who is defending Mr Kejriwal in both a criminal and a civil defamation case filed by Mr Jaitley, has reportedly sent bills for Rs. 1 crore in retainership and Rs. 22 lakh for each appearance in court to the Delhi Chief Minister. Arun Jaitley has sued Mr Kejriwal and other AAP leaders for allegedly making "false and defamatory" statements accusing him of financial irregularities when he was president of the Delhi and District Cricket Association or DDCA. The finance minister, a famous lawyer too, has sought Rs. 10 crore in damages in the cases filed in 2015. "A raid happened at the Chief Minister's office and his statements (against Mr Jaitley) followed. It was an attack on the CM of Delhi," NDTV quoted one AAP leader, explaining why Mr Kejriwal expects the Delhi Government to pay the bills.